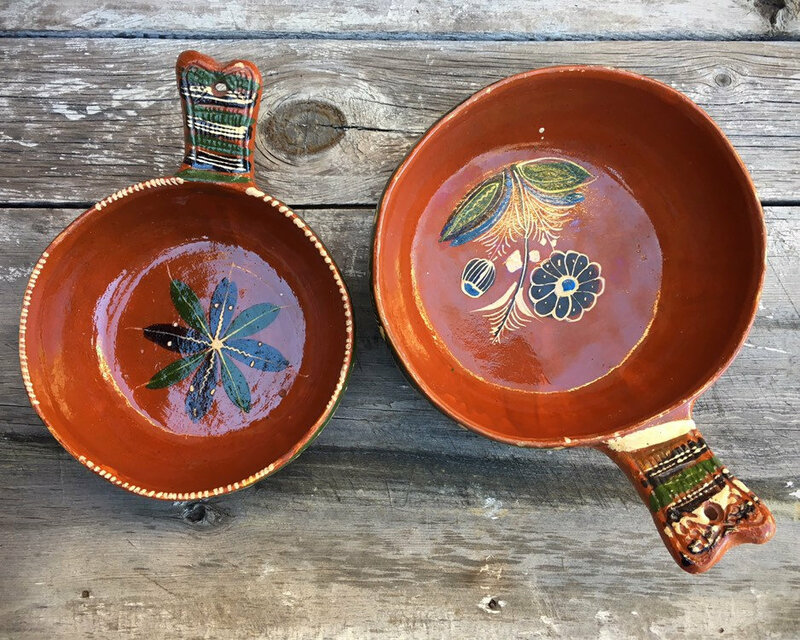 These charming old Tlaquepaque round bowls with handles feature floral designs, the colors deepened from age and a beautiful rustic patina. 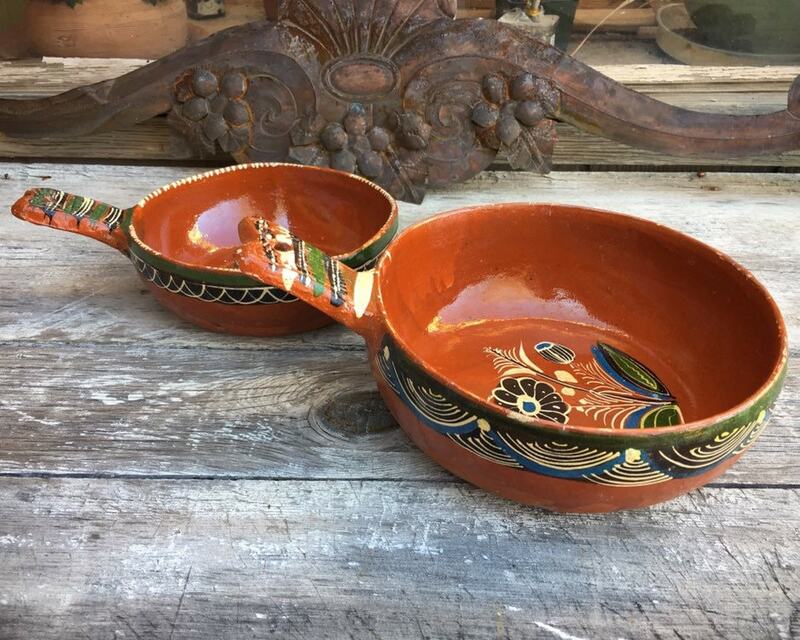 They have slightly different designs, yet the style of paint on the handles is similar. And isn't that how the best decor is? Not matchy-matchy yet complementary? 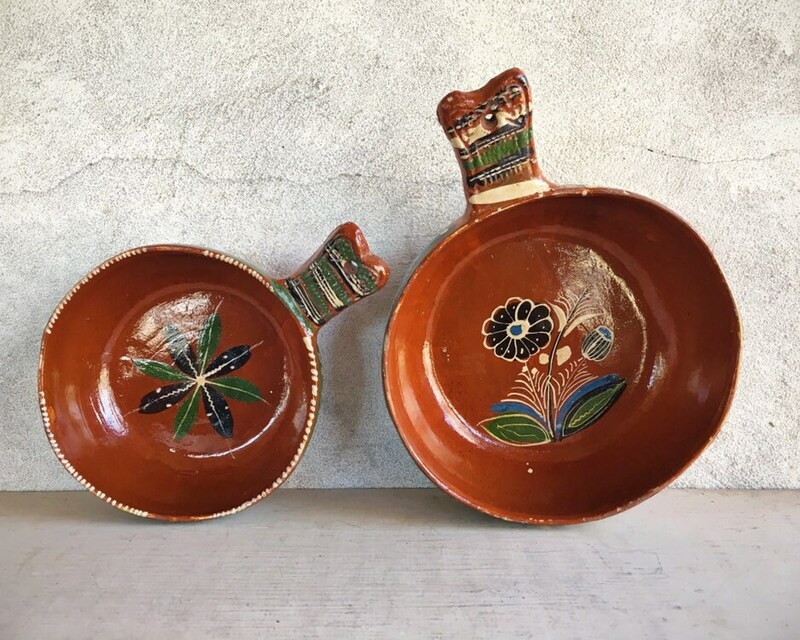 These are classic early Mexican pottery, circa 1940s-50s, and would have been part of a set of nesting dishes, these two being the only ones left. 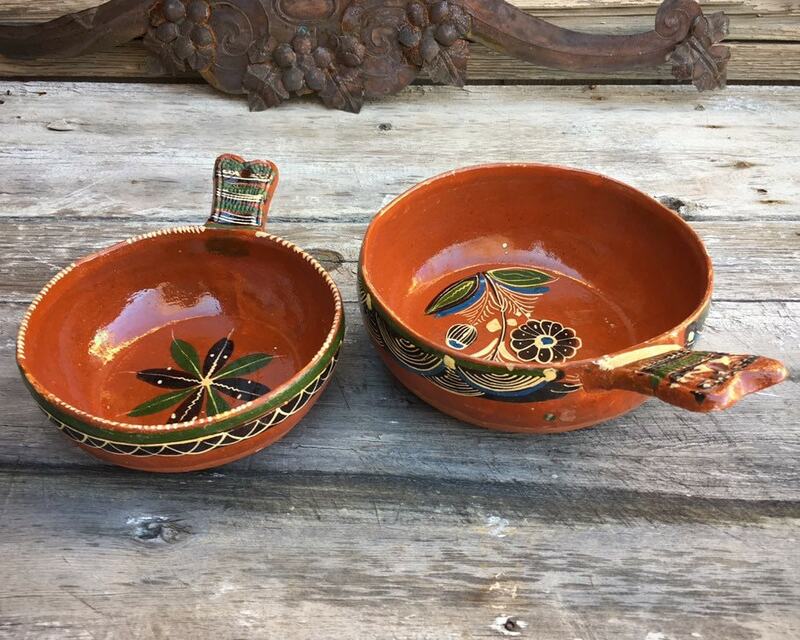 The beauty of these are they are great display sizes--one is big yet not too big, and the other one is smaller. 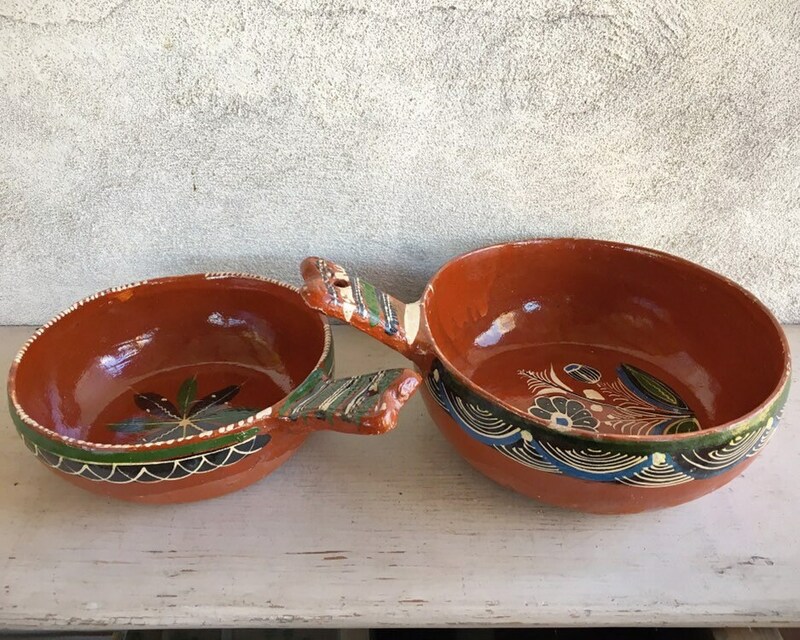 I could just see them on a shelf or in a glass-doored hutch alongside other Old Mexican pottery. 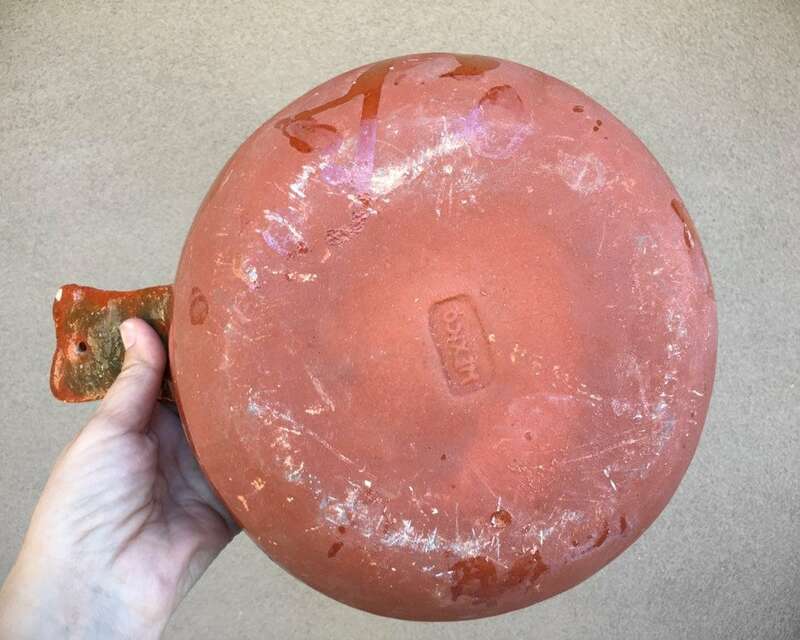 And these pieces are for display only, as glazes from this era often contained lead, so if you want 'em...flaunt 'em! 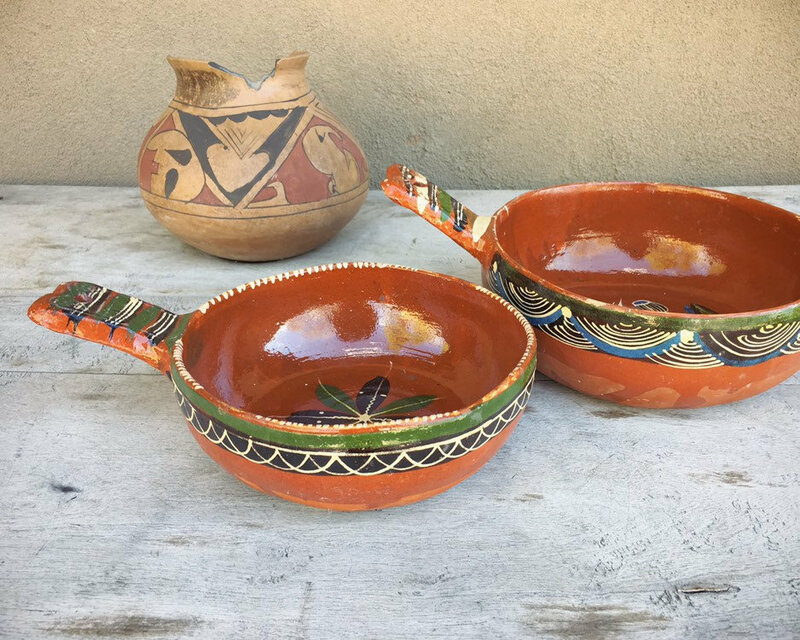 The larger bowl measures 9-3/8" in diameter and 11-1/2" with the handle, and the smaller is 7-3/4" in diameter and 10-1/4" with handle. 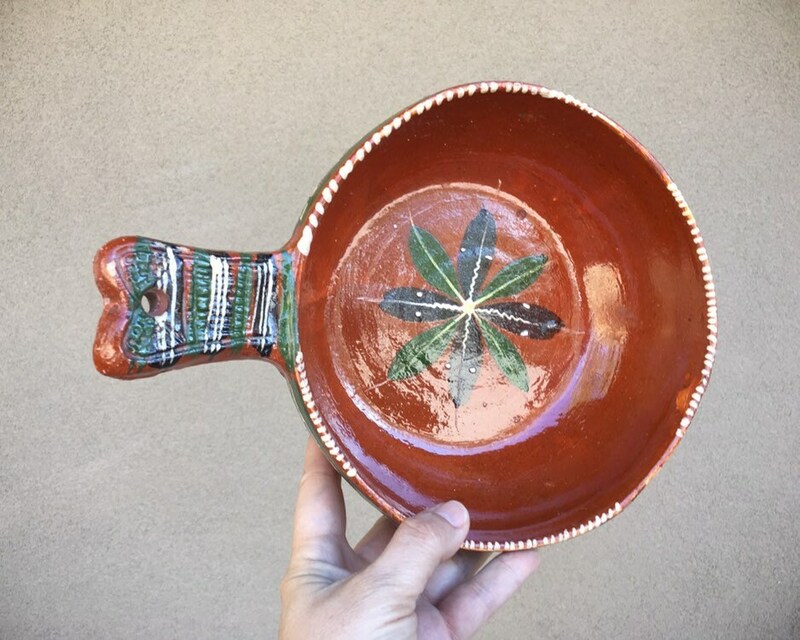 The bigger stands about 3-1/2" tall and slightly taller when accounting for the handle; the smaller just a smidge shorter as it nests inside. 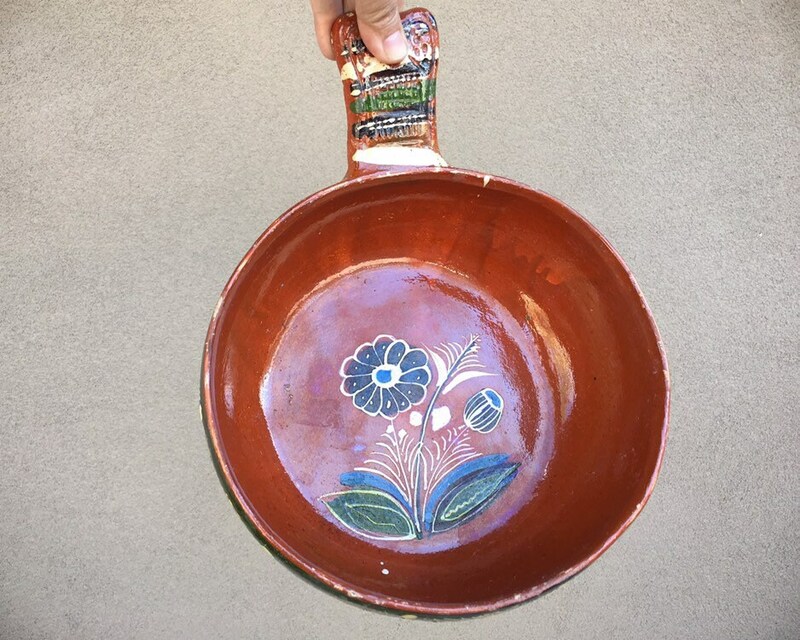 Areas where the glaze and paint have flaked off and surface chips. Also there is some roughness along outer edges. Together they weigh over three pounds without packing materials and will be double boxed for shipping. 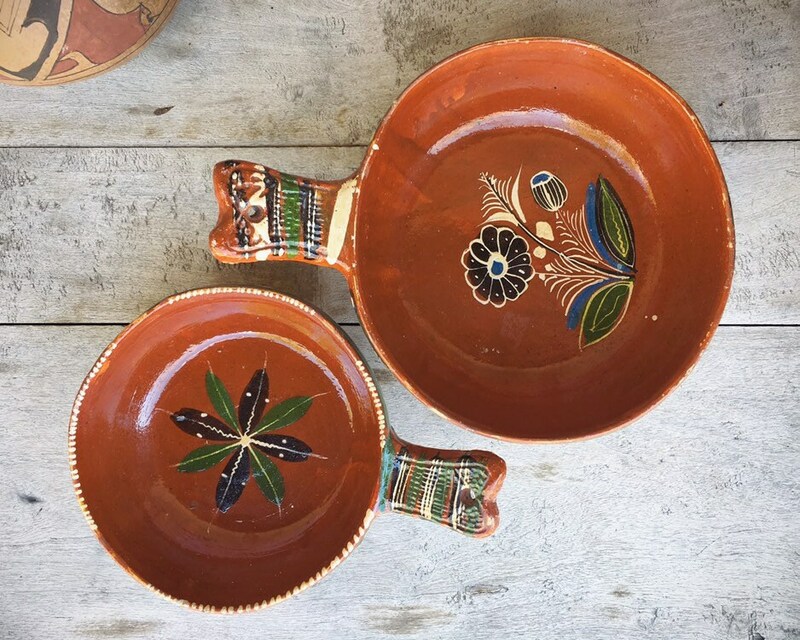 Classic early folk art pottery that will bring rustic charm to any decor.